A rainy day at Roland Garros. Venus Williams, Caroline Wozniacki and Flavia Pennetta are all through to third round with straight sets win. Defending champion Svetlana Kuznetsova and Madrid winner Aravane Rezaï suffer but qualify in 3 sets against respectively Andrea Petkovic and Angélique Kerber. 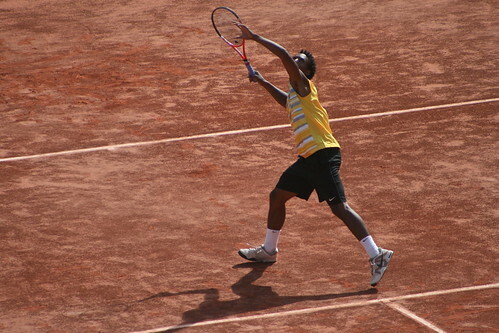 On the men’s side, no problem for last year’s finalist Robin Soderling who dismantled Taylor Dent 6-0 6-1 6-1. A good day at the office too for Roger Federer, Jo-Wilfried Tsonga and Maric Cilic who ease through third round as well. 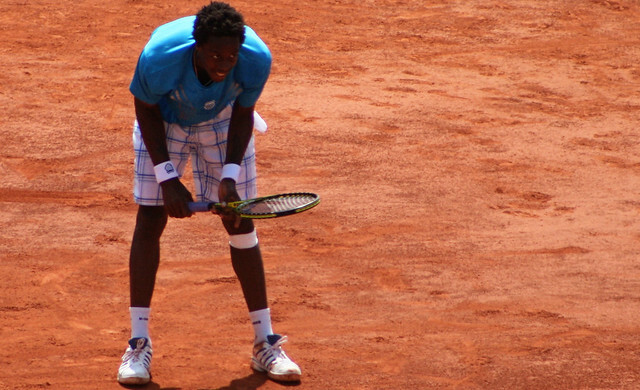 Monfils lead two sets to love in his match against Fabio Fognini but the italian player came back from the brink to level the match at 2 sets all. 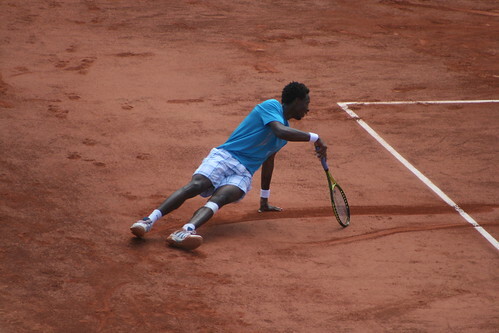 Monfils saved 3 match points at 4-5 in the fifth but the match was suspended by night at 5-5. The number of singles matches suspended by night: Fognini-Monfils, Murray-Chela, Granollers-Baghdatis and Isner-Chiudinelli. 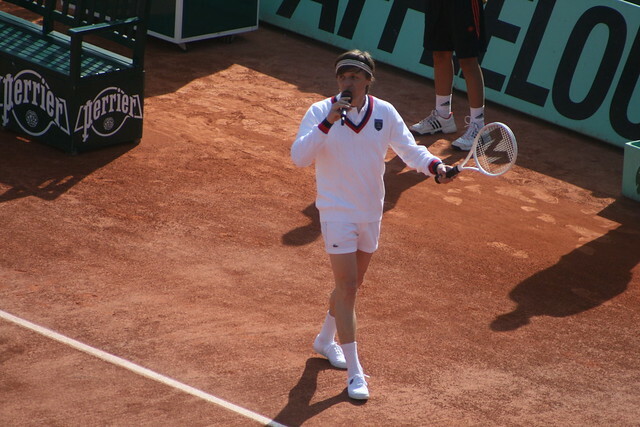 Saturday afternoon, French DJ Martin Solveig took part in the traditional charity event Children’s Day at Roland Garros (previously known as “Benny Berthet Day”). He filmed the video for his forthcoming single (called Smash) in which he plays a tennis match against fellow DJ Bob Sinclar. 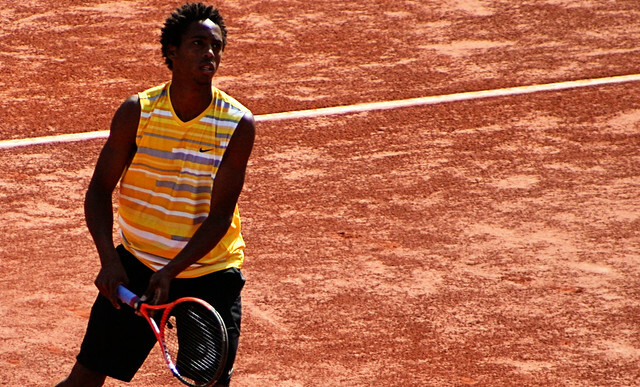 Runner up at last year’s French Open juniors, Gianni Mina could be mistaken for Gael Monfils’ younger brother. But their looks are not the only thing that they have in common: they have similar playing style and were both very successful in juniors. 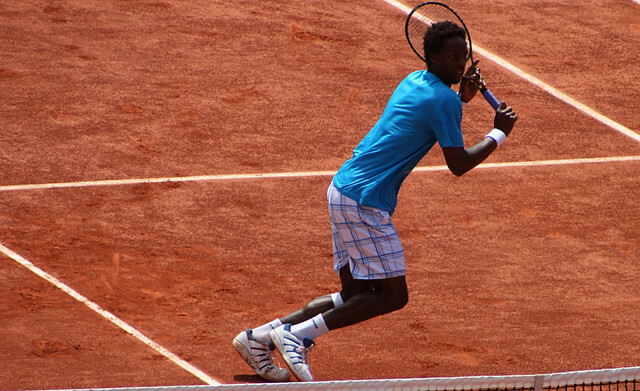 In 2004, Monfils finished the year as the world’s number 1 junior, winning three of four junior Grand Slam events (Australian Open, French Open, Wimbledon). Mina reached the finals in Roland Garros, and the semifinals at the US Open in 2009, and won the 18 years old category of the Orange Bowl. I’m just back from 4 days in Paris and I just wanted to share a few pictures of yesterday’s Children’s Day at Roland Garros (previously known as “Benny Berthet Day”). Children’s Day at Roland Garros is a charity event, devoted to fund raising for charitable organisations. The idea is simple: on the eve of the tounament’s opening day, stars of tennis are invited to take part in one set exhibition matches. So, for just 19 euros, you can watch some of the top players in action and help a good cause! 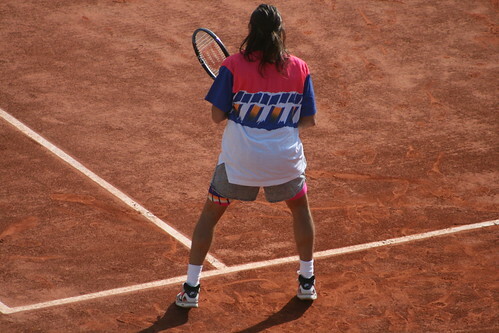 A 1991 Andre Agassi clone? More stories, videos and photos soon.